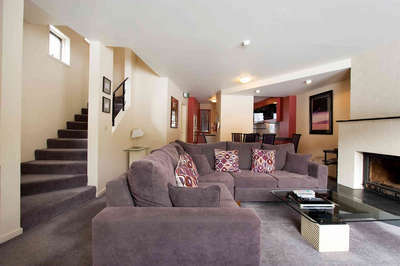 These multi-level townhouses are in Thredbo’s best location. Only two minutes level walk to the Kosciuszko Express Chairlift and one minute to the Alpine Hotel and Village Square, the building sits on the edge of Thredbo’s Village Green Park with uninterrupted views of the mountain. With features like log fire, garage parking and spa bath, this apartment is home away from home.